We Kiwis have ghoulishly embraced Halloween, which is no surprise given its Celtic Samhain, then Catholic origins. During the ancient Gaelic pagan Samhain festival, starting on October 31, people lit bonfires and wore scary costumes to ward off ghosts. This date marked the “darker” season, the end of harvest, and the beginning of winter. Later, Pope Gregory III designated 1 November as All Saints Day, so the night before became known as All Hallows Eve, later becoming the “Halloween” we know and love. 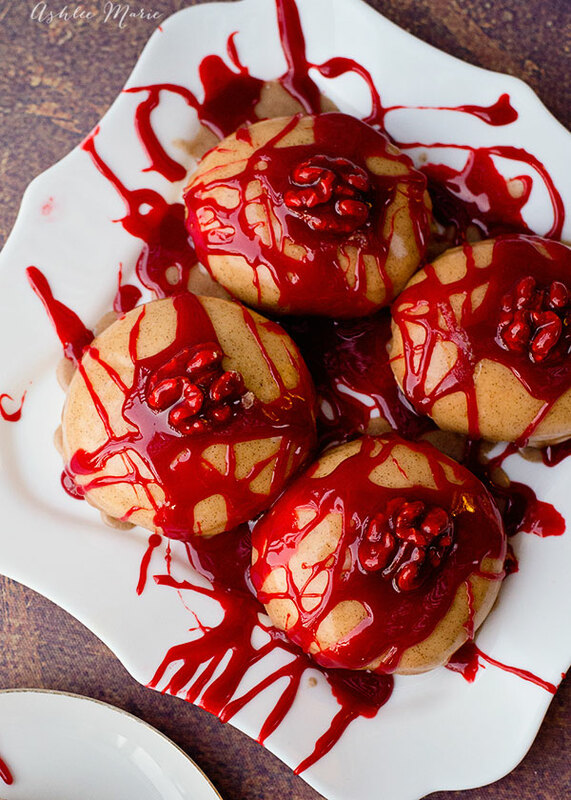 Like all good festivals, celebrating Halloween with food is a must. 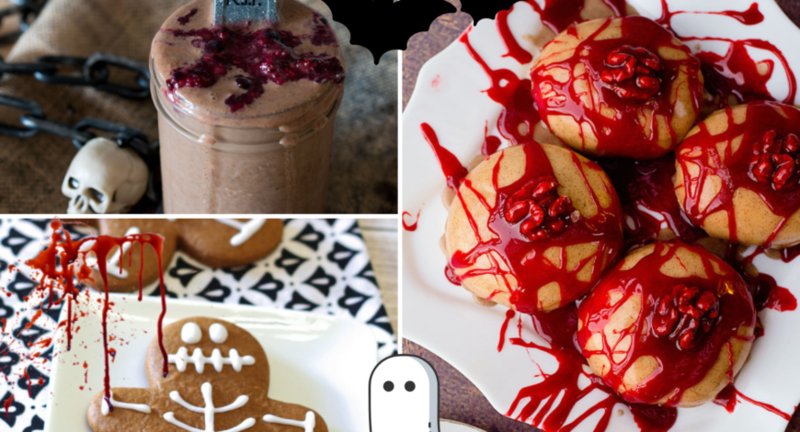 Whether you’re hosting a howler of a Halloween party or going to one, making terrifying tasty treats is easier than you think. You can put all your culinary skills to the test with this ghoulish Brain Cake or take it down a notch with these four simple, devilishly good Halloween recipes – all made with our anything BUT scary Almond Breeze almond milk, made from the best California almonds! In a high powered blender combine everything except the berries and water. 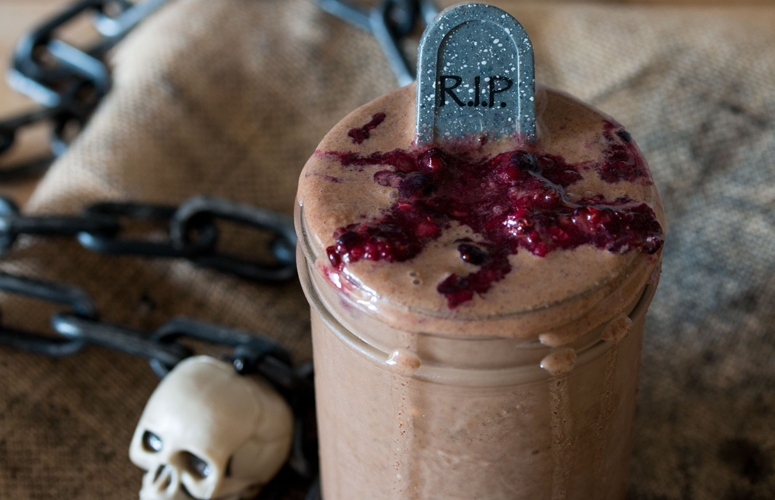 Pour this chocolate smoothie into a serving glass. Then rinse out your blender and then blend the frozen berries with water into a chunky puree. Make a bloody mess by spooning this mixture on top! Adapted from a recipe by Lauren Toyota. Preheat oven to 180 degrees celsius. Line baking sheets with baking paper. In bowl of stand mixer, beat together powdered sugar, molasses, coconut oil, Almond Breeze almond milk and vanilla essence until smooth. Add flour mixture and continue to mix for 1-2 minutes. On counter, lay out large piece of plastic wrap. Place one disc of biscuit dough in the centre and top with another piece of plastic wrap. Roll with rolling pin until dough is about 0.7mm thick. 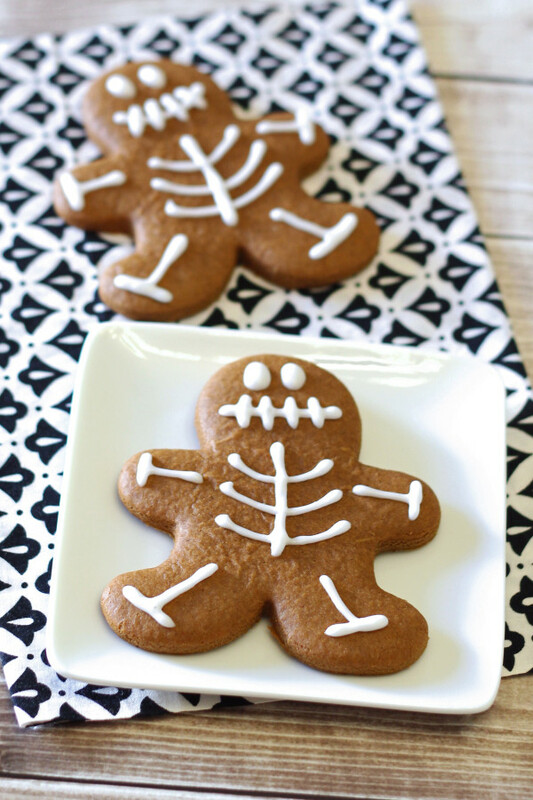 Cut dough using gingerbread man cookie cutter or another desired shape. Carefully place biscuits on prepared baking sheets (place biscuit dough back in refrigerator if it gets too soft to work with). Bake biscuits for 7-8 minutes. Remove from oven and place on cooling rack to cool completely. While biscuits are cooling, make icing. Mix together powdered sugar and 2 tablespoons Almond Breeze almond milk. Stir until smooth. Add more almond milk as needed. Place glaze in piping bag with small, round tip or use ziploc bag, cutting the tip. Pipe onto cooled biscuits. Allow icing to sit for 1 hour to harden. Adapted from a recipe by Sarah Bakes. Preheat your oven to 180 degrees celsius. Grease or line a muffin tin. Pour Almond Breeze almond milk, oil and apple cider vinegar into the bowl and mix wooden spoon until just combined. Place cupcake papers into a muffin tray and pour or spoon mixture evenly into each paper. Bake 16-18 minutes or until the tops of the cupcakes spring back after they are gently pressed down on. Remove from the muffin tray and allow to fully cool on a wire rack. Beat the icing ingredients with an electric mixer until fluffy. Coat cooled cupcakes with a thin layer of icing. 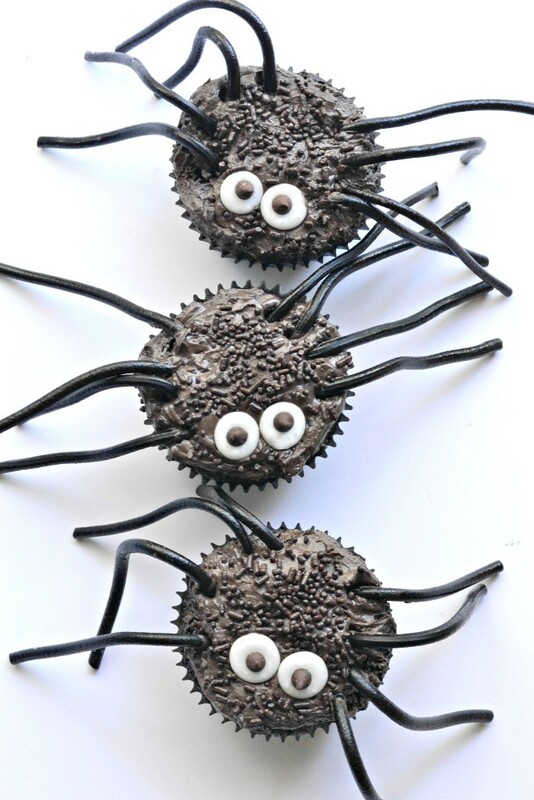 Top with chocolate sprinkles, googly eyes, and add on the liquorice legs. Adapted from a recipe by Cara from Fork and Beans. Adapted from a recipe by Ashlee Marie.